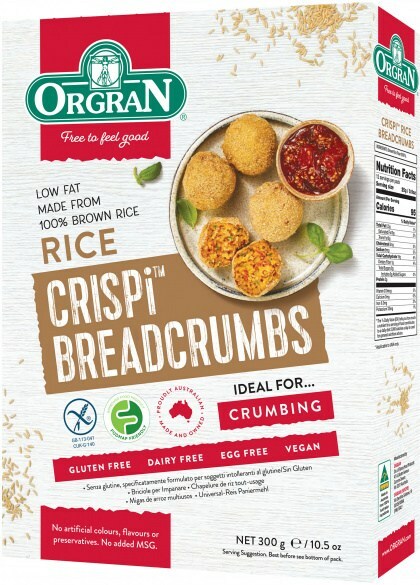 Orgran Crispi Rice Beadcrumbs is a quality product ideal for use in all crumbing applications of meats, fish or vegetables. It is also versitile in sausages, added to sausage meats, or as a stuffing base to which you may add your own herbs. Also ideal as a thickener in soups and casseroles. Ingredients: 100% Natural Baked Brown Rice.